This species of fox is only about 1 foot tall. They also only weigh from 5 to 7 pounds when they are full grown. The males tend to be on the larger side with the females on the lower side. 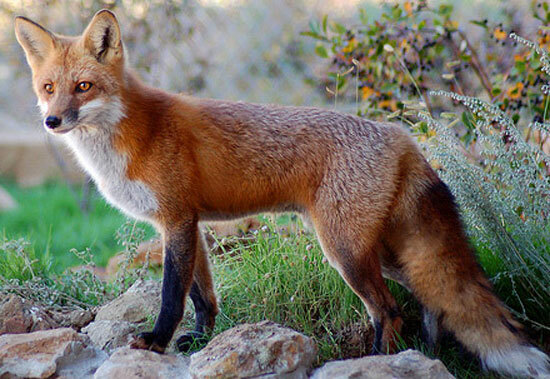 Typically, the Swift Fox lives around the grasslands or in the desert. They prefer the flat land which is why they are very comfortable on the plains. They are found in many areas of North America. In the United States their main locations include Colorado, Texas, and New Mexico. They are also spread out into many regions of Canada as well. The female Swift Fox claims her own territory out there. However, the males don’t do so. They are more of a adventure seeking entity and they continue to move around and to explore new areas. They will spend time in one location though when they find a female to breed with. Once the young venture out on their own though they too will move on. This particular fox won’t remain in one den for very long. Experts used to view this as a very peculiar type of behavior. However, today it is believed that they do so because parasites can quickly develop in the den. By moving on they reduce the risk of their bodies becoming infected by them. They will consume just about anything which is part of the reason that the Swift Fox is able to survive in this type of environment. They will eat grass and fruit when they are able to find it. They also feed on small mammals and insects. Depending on the location they may eat rodents, squirrels, and birds. They can find spiders and grasshoppers during certain times of the year. Fruits and nuts are items that they love to consume too. When these items are available they will rush to eat them instead of other food sources. They have a good idea of where these items will be located at too so they can return to them annually. The breeding season for Swift Fox depends on the location where it resides. It can start as early as December or be as late as March. As a result of this some young are born in March and others not until May. The young grow very fast and by the time they are 7 weeks old they are weaned and out there on their own. The average lifespan for this particular species of fox is from 3 to 6 years. In captivity they can live up to 14 years. There is really no concern at this time for the survival of the Swift Fox. However, that wasn’t always the case. In the 1930’s they were considered to be on the verge of extinction. There are almost none of them left in Canada. Successful programs to protect land areas and to relocate many into Canada though has allowed them to thrive. Hunting of the Swift Fox isn’t nearly as common as with other species of fox out there. However, that is the one time that they will have some human interaction. They also tend to stay away from where humans are so they aren’t deemed to be a nuisance like other species.